This summer worksheet is a great preschool activity for kids. 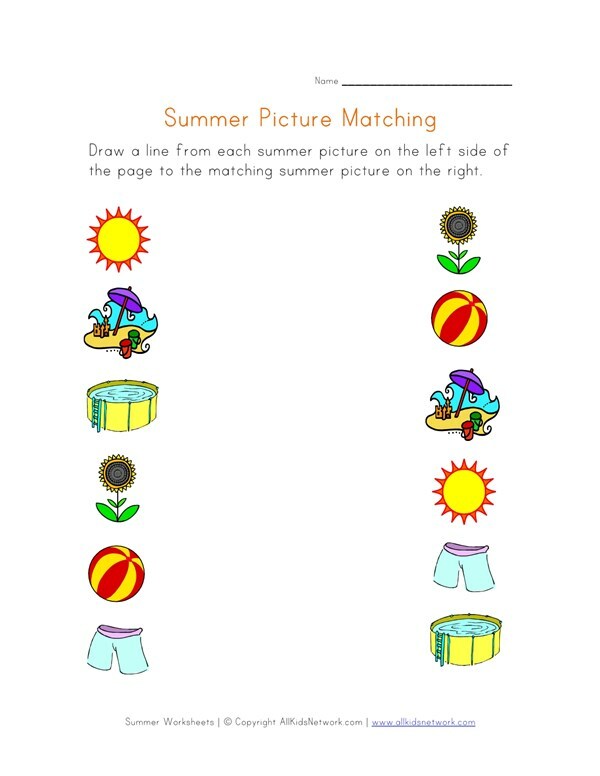 Match the summer pictures on one side of the page with the summer pictures on the other side by drawing a line. Print this worksheet out with the rest of our summer worksheets and add to any preschool curriculum.